BUILD. BATTLE. WIN. Mix and match pilots, hulls, wings, and weapons to build the starship of your dreams with an unprecedented level of customization and creativity. Changes to your physical starship are instantly reflected in your gameplay experience, allowing you to immediately jump into the battle. OPEN, LIVING STAR SYSTEM! Travel seamlessly through the 7 exotic alien worlds of the Atlas Star System, a galaxy full of unique challenges to encounter and overcome. Plus, fly directly from the planet into space for more battles, then head back to another world when you're ready. Startail is a mischievous, volatile outlaw mercenary. She is a maniac who loves to sow chaos wherever she goes. She’s loud, abrasive, and not exactly trustworthy – but her skill as a demolitionist is second to none.Unleash explosive shots with this pint-sized berserker. 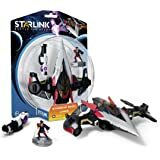 Join the Fight Starlink: Battle for Atlas is a new action-adventure game where you assemble a custom starship mounted to your game controller to launch into an interplanetary adventure. 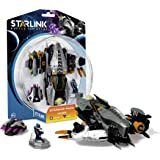 Lead a group of heroic interstellar pilots who use modular starships to mix and match their unique gear and skills on the fly. 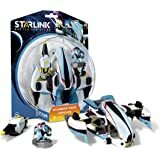 Travel the star system to unite the galaxy against villainous destructive forces. Bought this on special only because it had Starfox and his ship but I'm finding it an enjoyable game 2 hours in. 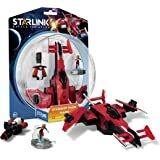 If this game had just been self contained without wanting you to buy extra toy weapons and ships I could see myself coming back if they do a sequel. I was very surprised by how good this game is. 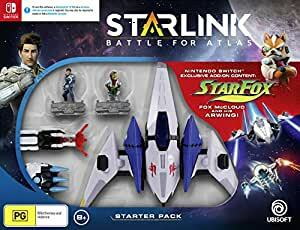 Definitely going to spend a lot of time playing it over the next year, as it's got some great depth and integrates Starfox into the Switch version extremely well.